In the United States, a Police Officer is killed in the line of duty every 53 hours. Behind these numbers are countless unsung stories of both tragedy and triumph overshadowed by negative headlines and criticism at every turn. 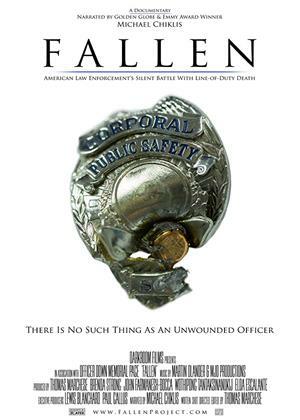 Pulling back the curtain on this polarizing topic, Fallen rises above divisive politics to expose the humanity behind these statistics within unflinching look at the constant threats officers face and the devastation left behind when one of them is senselessly killed. Giving these fallen heroes a voice, Fallen, narrated by Michael Chiklis (“The Shield”), tells their stories through the eyes of the partners, families and communities left behind.